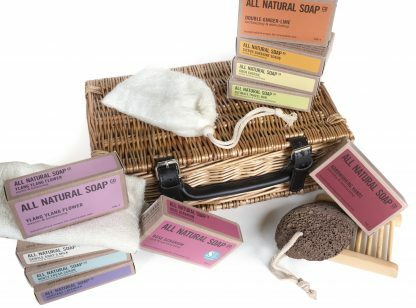 There really is something very special about receiving a hamper, and this luxurious little collection is no exception. 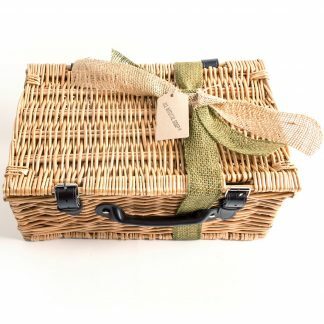 The hamper is the ‘proper’ lidded kind – made from the finest autumn willow wicker complete with traditional straps – and therefore makes a great impact, is exciting to open, and also gives the recipient somewhere stylish to display their goodies afterwards. 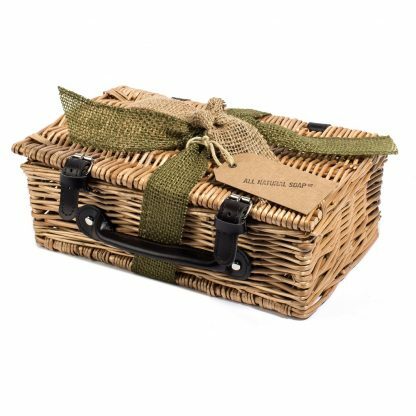 Inside you’ll find no wasteful overstuffing or empty space: instead we prefer to pack our hampers fill to bursting with lovely treats! 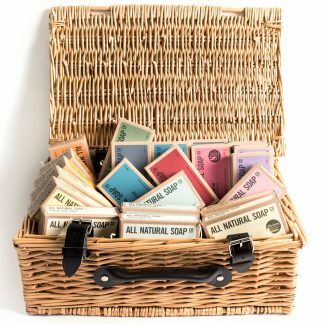 Note: Our seasonal soap(s) WILL be included in your hamper, subject to availability. 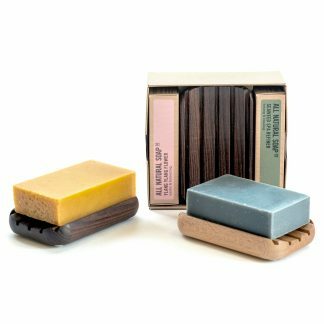 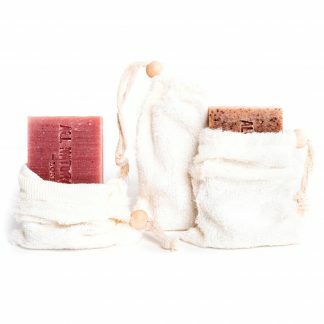 The soaps themselves are neatly packed in our signature colourful boxes, which include plenty of information about what makes them special, and the hamper is elegantly finished with two-tone jute ribbon plus a coordinating gift tag. 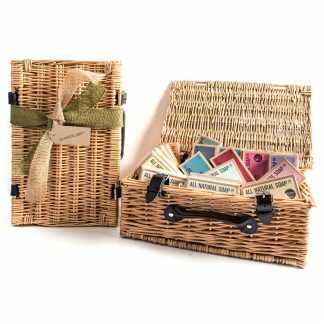 The hamper measures a compact 30cm x 18cm x 10cm and can be tailored to suit your needs. 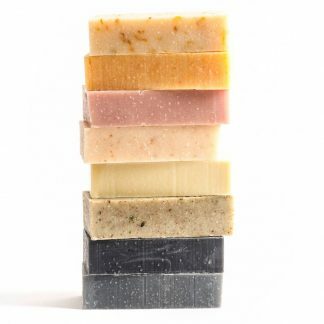 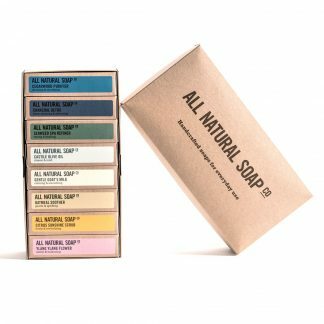 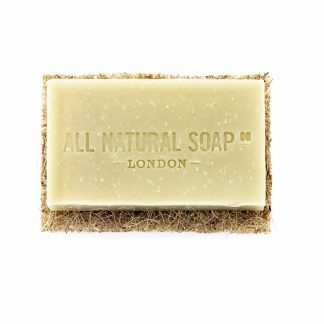 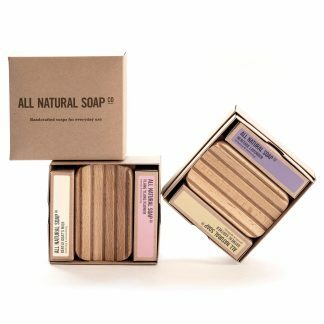 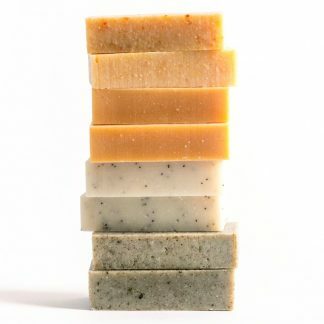 If you require the soap selection to be vegan, nut free or suitable for sensitive skin for example, just let us know in the order notes on checkout and we’ll tweak the selection accordingly. As it’s that time of the year, the hamper will be secured with ribbon and a christmas-themed gift tag. 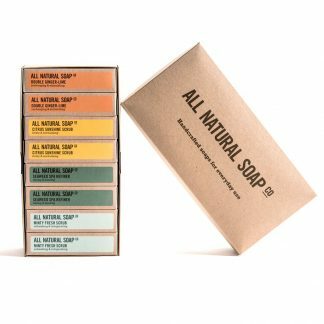 If you would prefer a plain tag, just let us know in the ‘Order Notes’ on checkout. 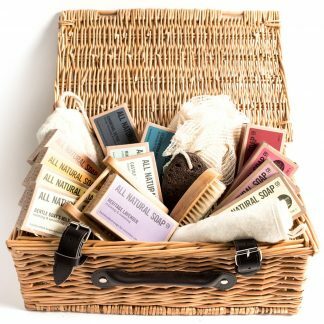 As standard, all the soaps and accessories included in the hamper are vegetarian; palm oil free; SLS & paraben free; and totally natural. 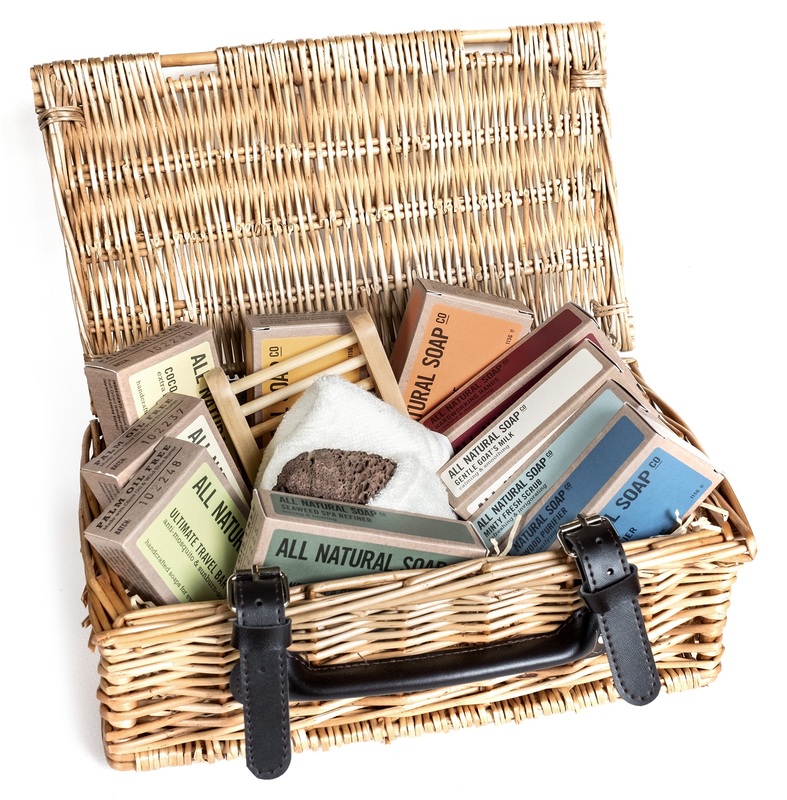 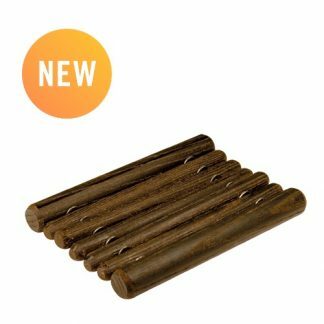 The accessories are also sustainable, and these, along with the hamper itself, are totally vegetarian and vegan.